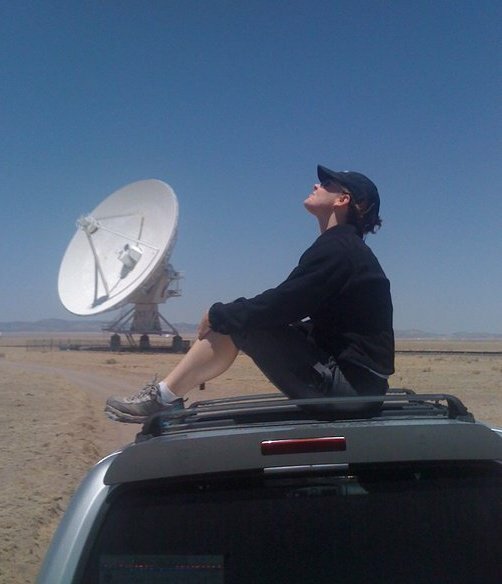 From my visit to the Very Large Array at the National Radio Astronomy Observatory (http://www.vla.nrao.edu/) last year. One of the most amazing places I’ve ever been. I was reading an insipid article this morning, and became curious as to how many people actually find astrology meaningful. The easiest metric at 7 am on a Saturday morning is (naturally) Twitter, so I checked out the account of an astrology author, Terry Nazon: 73,266 followers. I don’t know if that’s true or not (Ms. Nazon didn’t cite her source, so I’m skeptical), but her popularity and that of astrology in general is something that ought to make me depressed. But it doesn’t at all, and I’ll explain why at the end of the post.